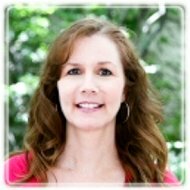 Oviedo Therapist: Julie Shepardson - Therapist 32765. My training and experience allow me to understand the issues or situations you are struggling with. My knowledge of many styles of therapy and the appropriate application of them, will help you develop new skills which will then allow you to meet your goals. My compassion and caring will help you feel heard and understood. My approach is individualized to your needs and personal goals. I use Cognitive Behavioral therapy and other research-based approaches to resolve the pain or stress you're feeling and to improve your understanding of your situation or relationship. I am certain that people are doing the best they can with the tools they currently have, but sometimes these tools just aren't effective enough. I will help you discover the unhealthy thoughts and behaviors that sabotage your success or cause you distress, and identify ways to replace them with thoughts and actions that are more productive and more positive for your life. I will teach you tools and techniques that really work for you, thus empowering you to create a life that makes you happy and to sustain relationships that bring you joy. I am compassionate yet direct, insightful, supportive, and challenging, but most of all, fully committed to my clients' success. My greatest joy comes from watching you meet your goals and not need me anymore! I also have specialized training as a Weight Loss Coach and work with individuals and groups who are struggling to lose weight, eating emotionally, or would like to heal their relationship to food. I obtained my Bachelor of Arts Degree in Business from Florida State University and earned a Master's Degree in Clinical Psychology from The Citadel, in Charleston, South Carolina. I am a Certified Weight Loss Coach and have additional training in Nutrition. For the past 10 years I have been working with individuals in private practice. In addition, I have had the priviledge of working at the University of Central Florida Counseling Center, as well as the counseling centers at Johnson and Wales University and the College of Charleston. I currently provide services to clients throughout Central Florida. For clients elsewhere, I provide internet, Skype or phone counseling to individuals anywhere in the world. Contact me to discuss your needs and to see how my experience and training can assist you in moving beyond these issues toward resolution and healing.